As they say, you only get one chance to make a first impression. And your greeters deliver that first impression to everyone who visits your church. All the work you put into flyers, your Web site, teaching your people to invite friends – it can all be for naught if the visitor isn’t welcomed warmly. Good greeters, however, communicate the love of Christ, and your visitors feel it. Rev. 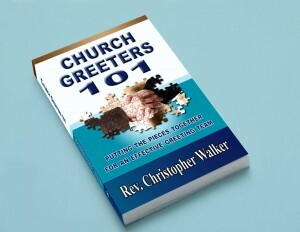 Walker has put together a very practical guide that will take your greeters to the next level. He asks the questions you need to ask and gives you the checklists you need to check. Many greeters fail at the task simply because they don’t know what to do. This book will tell them what they need to do in ways they will appreciate. As a pastor, one of the hardest things to convey to your own people is that they aren’t being welcoming enough, because they think they are. This book will lead them to be more effective without making them feel badly about the well-meaning effort they’re already putting in. And the value of one extra visitor “sticking” has got to be worth 100X the cost of this book. In Church Greeters 101, I intentionally focus on recruiting and training church greeters and ushers: the volunteer side of your church’s hospitality ministry. 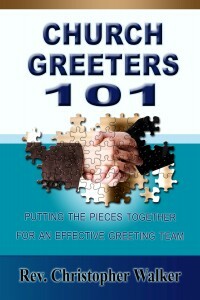 This book is intended as a manual and reference for greeter coordinators, hospitality committees, and greeter volunteers. I’ve provided appendices to print out and use for training material. My other eBook (PDF Download only), which is found at http://www.WelcomeChurchVisitors.com, focuses more on the big picture of hospitality ministries–creating a good first impression (presentation of the building, the visitor experience and wow factor). It has one small chapter on greeters. 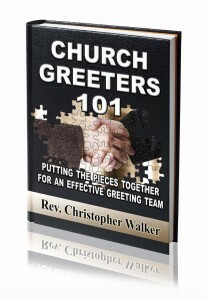 Church Greeters 101 now elaborates more in depth about these important volunteers. This information has developed and refined after years of reading, research and conversation with many church pastors and hospitality committees around the United States and some in Latin America. This material also reflects the cross cultural work I do in Latin America and Spanish language churches. As I experience church in two very different cultures, I see differences that often provide insights into why we do things that we do. For years, I have sold this book at 14.99 from this website as a digital product. It is the best seller of all products in the EvangelismCoach Store. Now that it is available exclusively for the Amazon Kindle at least until September 3, 2013, it’s been discounted yet further to $9.99. For those who purchase and leave a review, I will offer you an hour of personal greeter coaching time over the telephone to help you apply some of these your situation. People have paid to access to my hospitality training and you can have your own for free. That is a $45 value added bonus. I believe in helping you implement what you’ll read about church greeters. I don’t want you to simply let it this church greeter training sit on your hard drive in a digital dust bin. After you read the book, you’ll have some questions, so I want to give you access to me for practical implementation. You will need to contact me via one of the options listed in the ebook. Chris Walker’s coaching ability is wonderful. He’s a clear thinker with a way of cutting through the clutter and confusion surrounding a problem. He focuses on the most practical path to a resolution and effectively communicates how to reach the intended goal. The free coaching bonus sessions are disappearing. Get your free coaching appointment by securing your copy of this book today! What if I don’t own a Kindle? 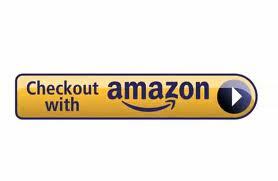 Download one of the free Kindle apps to start reading Kindle books on all your devices. The Kindle app is available for every major smartphone, tablet, and computer. That means with the free Kindle reading apps, you can buy a Kindle book once, and read it on any device with the Kindle app installed. And of course, you can also read that same Kindle book on a Kindle device if you own one.